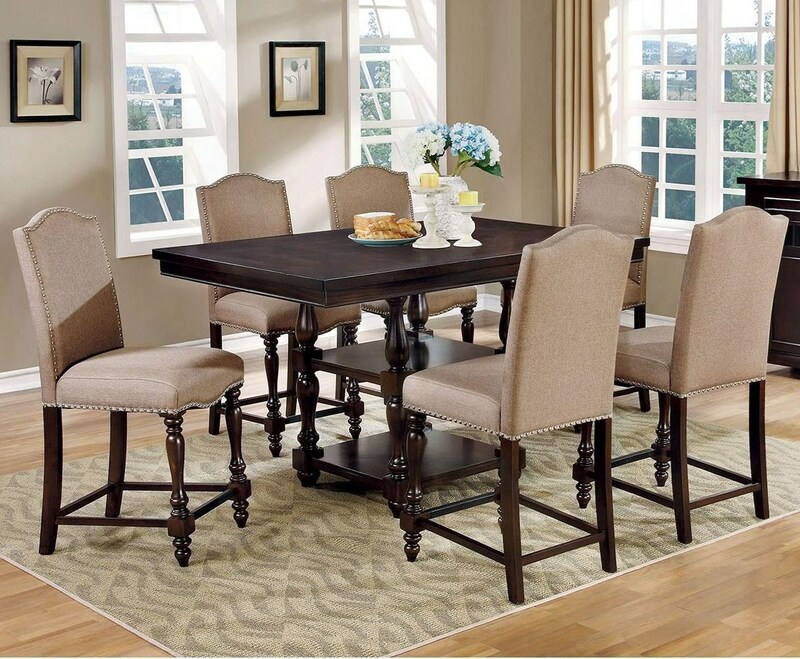 Bring some classy inspiration into your dining room with this warm toned table featuring stylish turned legs. Matching counter height chairs beautifully wrapped with linen-like upholstery makes this the perfect addition to any dining area. The Hurdsfield Transitional Pub Table with Storage and 6 Counter Height Stools by Furniture of America at Furniture Superstore - NM in the Albuquerque, Los Ranchos De Albuquerque, Rio Rancho, Santa Fe, Corrales, NM area. Product availability may vary. Contact us for the most current availability on this product. Browse other items in the Hurdsfield collection from Furniture Superstore - NM in the Albuquerque, Los Ranchos De Albuquerque, Rio Rancho, Santa Fe, Corrales, NM area.